Enjoy Holland America's 7-nt Glacier Discovery Northbound with stops in Ketchikan, Juneau, Skagway, Glacier Bay, and Anchorage. Amenities include a 360-degree Promenade Deck, world-class B.B. King Blues Club musicians, 10+ room options, and much much more. Westerdam will take you to exotic locations throughout the world for a once-in-a-lifetime bucket list experience. Sail to the last frontier of Alaska and experience picturesque ports where you can get up close to animals and natural wonders like fjords and glaciers. Or, go on an epic cruise around ports in Asia, where you'll have ample time ashore to try local foods around the busy streets, and see ancient monuments and natural wonders. Westerdam is 936 feet long and can transport 1,916 guests comfortably in large staterooms throughout the ship. 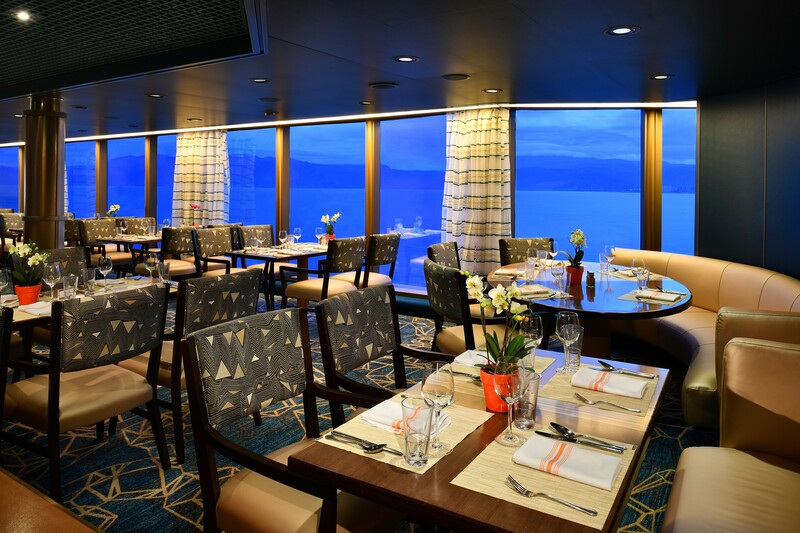 Onboard, enjoy a wide variety of dining and entertainment options for any type of traveler. From laid back to adventurous, you'll have an amazing time sailing to destinations you've only ever dreamed of. All comfortable cabins aboard Westerdam include a sitting area, spacious shower, storage space, and luxury mattresses. Spacious rooms with plush Euro-Top mattresses, premium massage shower heads, and a host of amenities. Stunning views and large windows are in every oceanview stateroom. Enjoy expansive staterooms with two lower beds convertible to a queen-size bed, premium massage shower heads, and spacious sitting area. Large, comfortable suites featuring a spacious sitting area with floor-to-ceiling windows overlooking a private verandah, two lower beds convertible to one queen-size bed, and one sofa bed for one person. The bathroom includes a dual-sink vanity, full-size whirlpool bath and shower, and an additional shower stall. These elegant suites include a living room, dining room, pantry with microwave and refrigerator, and floor-to-ceiling windows overlooking a private verandah with whirlpool. All aboard! Guests sailing around the world on Holland America Westerdam can expect a bevy of entertainment options throughout their cruise for an enjoyable and unforgettable experience. During the day guests can lie by the pools year-round thanks to a retractable glass roof or relax in one of the hot tubs during colder months. Check out the main theater for different exciting performances ranging from magicians to world-class dance acts. Head to America's Test Kitchen for live cooking shows that will teach you the cuisine of the area and provide some delicious smells! At night, you can rock out to a dueling piano show while sipping on your favorite premium spirits. 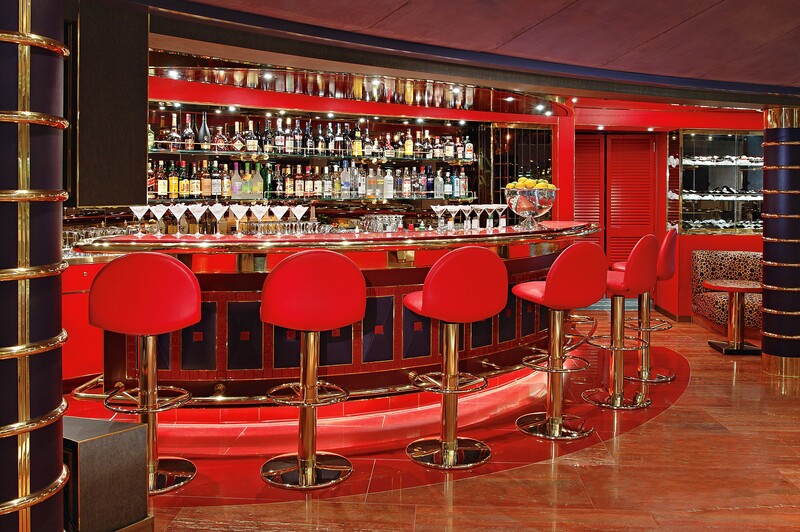 There are several lounges with a variety of beers, spirits, and entertainment for you to enjoy throughout the cruise. The Dining Room - Dining venue open for breakfast, lunch and dinner with a variety of menu options, including vegetarian and locally-inspired cuisine. You can eat at any time from 5:15 to 9:30 p.m., or choose a traditional seating schedule, either early seating at 5:45 p.m. or main seating at 9:30 p.m.